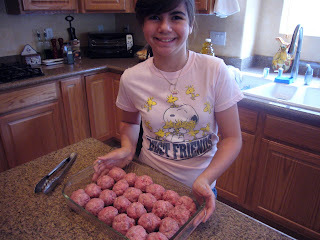 Today, it's Sabrina's turn to cook. 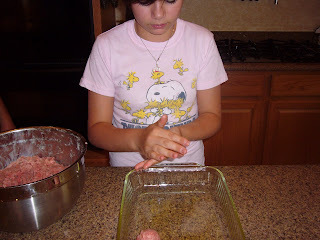 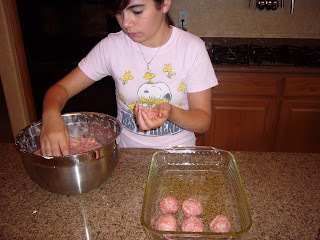 She and her father got an idea to make meatballs - and these are David's adaptation of Rachael Ray's ricotta cheese meatballs. 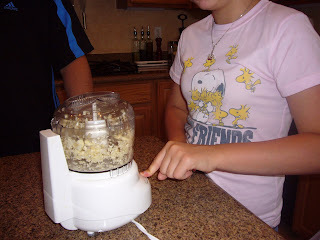 David helped her blend everything together - I can't show you that picture - it was a little messy. 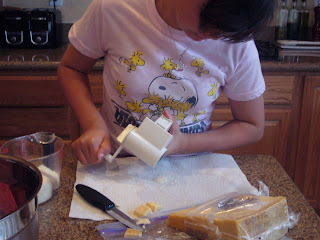 Great job, Sabrina - I can't wait to try one!